YAKUTSK, March 15. /TASS/. An An-12 cargo plane carrying some 9 tonnes of gold has lost a third of its cargo during takeoff from the Yakutsk airport in Eastern Siberia, a local transport police spokesman told TASS on Thursday. Earlier reports said that the plane’s cargo hatch was partially torn off by a strong flow of air during takeoff. "A total of 172 gold bars weighing 3.4 tonnes have been found so far," the spokesman said, adding that none of the five crewmembers had been injured in the incident. A police source told TASS that all the bars lost in the incident had been found. "We’ve collected all of them," he said. 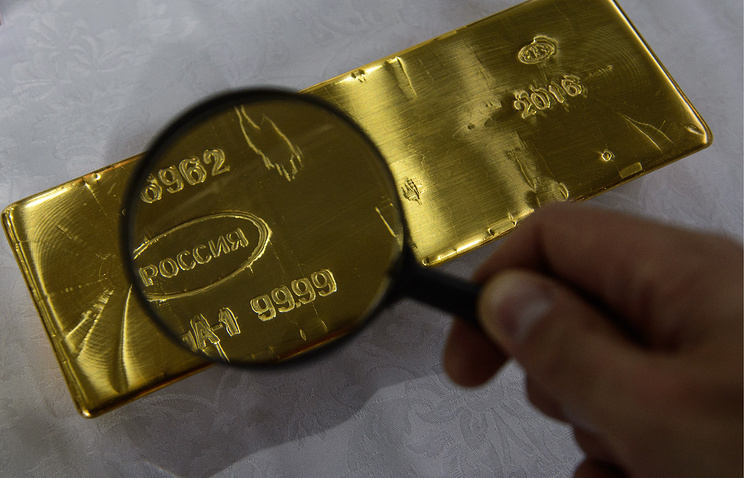 Meanwhile, local media and social networks reported a gold rush among Yakutsk residents. The airport’s press service said that technicians who were preparing the plane for takeoff could have failed to properly fix the gold cargo. The plane safely landed at an airfield in the village of Magan, 12 kilometers from Yakutsk.